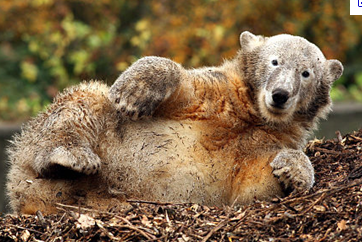 I am beyond sad and very disturbed that precious once world-famous “Knut the Bear” has just died in a Berlin Zoo. He died at the age of 4 1/2 and had at least 10 to 13 years ahead of him if not more. There was no predator to kill him. There was no fight he got into with another animal. He didn’t take drugs and OD. So, did someone at the zoo kill him because he was labeled as being “difficult,” “psychotic” and a “narcissist” who was too difficult to handle? Or did he die of loneliness and a broken heart? I pray it is not the first. But I have every reason to believe that it was the latter. His life and his death teach us so many huge lessons on many levels- from why childhood stars turn out the way they do and often self destruct to other valuable lessons. It clearly shows us how important it is to have the companion of others, and to be physically touched, cuddled and loved on a consistent basis. It also shows us the very sad truth – a reality that happens all too often in business and in personal relationships – that there is a chance we can be easily discarded when we are no longer of value or use to anyone. It’s sad, but horribly true in all too many cases. 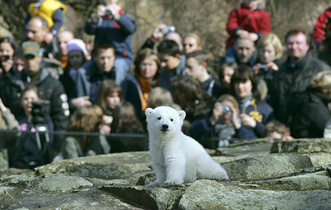 Knut was the most adorable little polar bear who was rejected by his mother when he was born in captivity at the Berlin zoo on December 4, 2006. 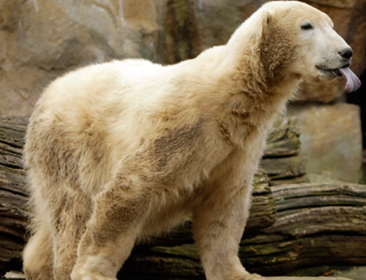 The zoo keepers kept this adorable ball of white fluffy fur alive and nurtured him. 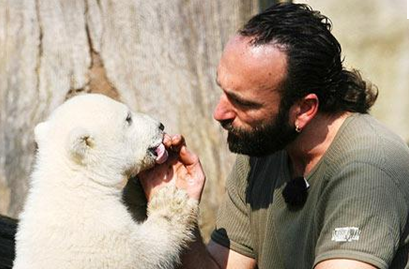 Knut even had his own keeper who slept in his pen with him and attended to his every need. Knut was very happy as he bonded with his human daddy, who fed him, hugged him, bathed him, kissed him, hugged him, and played with him. 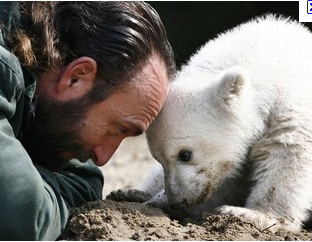 Knut was given a tremendous amount of love and affection. 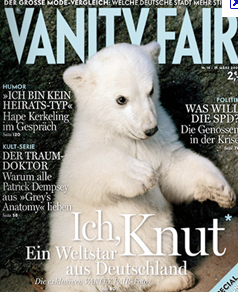 When baby Knut was a little over 3 months old he was put on display, for all to see. People came to see him from all over the world. He became a celebrity, as the crowds of people who visited him purchased Knute memorabilia tee shirts, mugs, key chains, candy, postcards posters, plastic replicas, and stuffed likenesses of him. He loved the flashes of the camera and even posed when photos of him were taken by the countless visitors. A year later he even made the cover of Vanity Fair Magazine in an Annie Leibovitz photo shoot. But as Knute grew older, he was no longer cute. Crowds dwindled as they stopped coming to see him. Gone were the flashing cameras. Gone were the crowds of smiling delighted children squealing at his antics and tricks. 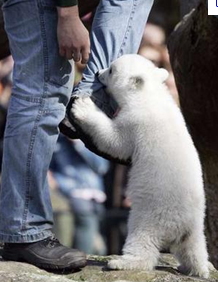 If there was not a wall between Knut and the visitors, Knute could have done some serious harm. Also gone was his keeper, as the older Knute got be more difficult and harder to handle. His hug was a huge bear hug that could hurt, maim and kill, His teeth grew into big long bear teeth that could bite, pierce, and kill. 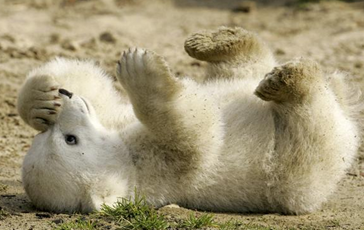 Even though Knute still thought of himself as a playful baby cub, he was in reality, a dangerous polar bear. Knute had no other bear mates to play with. He was isolated now that this keeper was gone and that he was treated like any other ordinary wild zoo animal. He got depressed and became unmanageable. He acted out and would howl for hours until he saw human people come in front of his glass container. When they did he would immediately calm down . 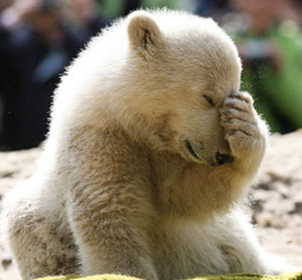 He cried and cried until people took his photos and flashed their cameras in his big bear face. He loved it! But then the visitors stopped all together at various time, especially during the winter. Knute got more and more depressed and even got violent. The zookeeper even publicly called him a ”sociopath” and said he was a narcissist and impossible to manage. In order to appease Knute’s anger, the zoo staff would have to walk by his enclosure and take flash photos of him. This went on throughout the day, which cost the staff time and money as it took away from their other responsibilities. Even though a post mortem will be conducted on Monday to try and discover the exact cause of Knute’s death I wonder if there was something else that killed him. Did Knute lose his will to live? Did he commit suicide by drowning himself? I strongly believe that Knute died because he had no interaction with anyone- bear or human and he was no longer a star. His anger consumed him as he was not given the attention that he was raised with. Since infancy, he was raised to believe that he would be loved and cuddled nurtured and given massive attention. He was raised to believe that he would have a lot of physical contact as he did as a baby, when he was loved up cuddled and kissed and hugged as he played with his keeper, who lived with him. But now there was no one to touch him and cuddle him and love him up. It saddened him and then it made him furious. Then it made him depressed and despondent until he lost his will to live and did himself in by either shutting down his own systems or perhaps even drowning himself. So how does what happened to Knute apply to human beings? What can we learn from it? 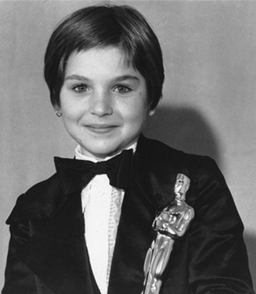 For one thing we can really see why child actors go off the deep end. They are catered to and paid an enormous amount of attention like Knute was. Then when they grow up and are suddenly not the cute little cherub of a child. They aren’t cast in as many films or TV shows. They don’t get all the goodies that come along with being a star like recognition and constant pampering, and getting away with mouthing off or getting whatever they want because they are the cash earning cow. When the gigs stop coming, they get bummed out, much like Knute. And when the public recognition stops, they get angry, just like Knute. 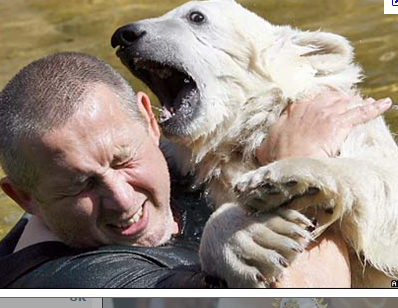 Knut turned his anger outwards, by having tantrums and acting out, much like child stars have done. He also turned it inwards by getting depressed and essentially giving up on life. 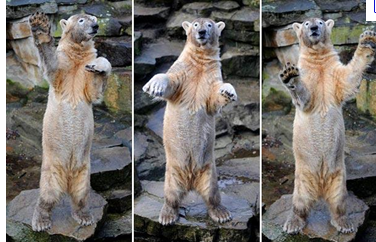 If Knut had access to alcohol and drugs, no doubt he would take them as well to numb his pain. He would do it to numb himself against the pain of feeling worthless, because he was no longer relevant in other people’s eyes. 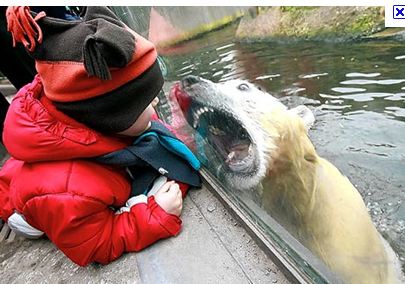 He didn’t have a bear parent to guide him and nurture him. He didn’t have a bunch of bear buddies to hand out with, or a bear girlfriend to love him up. He didn’t even have a human who could come into his enclosure and give him the hugs and kisses he hungered for that he had as a baby. 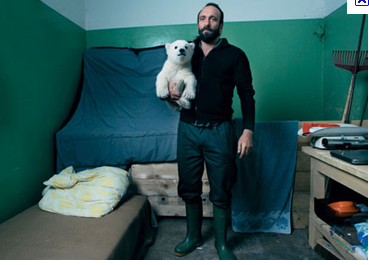 Instead of love and compassion and support, Knut had a zoo keeper that called him a sociopath and a narcissist and said Knute was dangerous and impossible to be around. Buy who created that sociopath and narcissist? 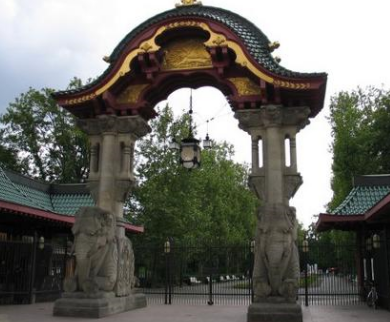 The Berlin Zoo created it and THEY needed to rectify the mess they created. They needed to get him some buddies. They needed to make sure he was still front and center as the Zoo’s star. They needed to stop complaining about the extra work they had to do to appease Knute by taking his photos at regular intervals during the day. They needed to get him a some bear buds or a girlfriend or two so he could have fun and socialize. 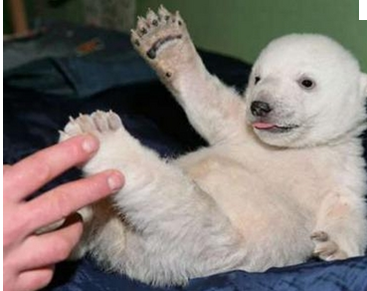 In fact they needed to have socialized him with other baby bears his age at the very beginning of his life.. 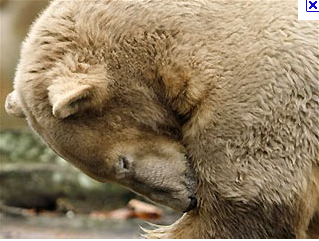 Even if they were brown bears or other species of animals Knute could have bonded with them. But the zoo officials apparently seemed to be too busy making immediate money to notice or to think about the little bear’s future mental and emotional health. As cold and heartless as it is, too many have known the despair of being laid off because they were too old . There are other who know the pain of not even being hired because they are too old. With the exception of Meryl Streep, and perhaps Helen Mirren and Judy Dench, just ask any woman actress over 50 in Hollywood and they will tell you. Especially ask those who were once the hottest at the box office like Sharon Stone, Demi Moore, and Kathleen Turner. The roles stop coming and suddenly the tabloids which fuel public interest ,don’t care what they say or do. There is a new batch of brand new young hot beauties . As long as these leading ladies were making millions of dollars for the studios, they were getting job after job. Now they are thrilled if they get a character role or two every once in a while. It happens to men and women a lot in business. Gone are the days when you are at a company for 40 years and get a gold watch and a party when you retire. Instead men and women are let go due to downsizing. After all why should they pay a seasoned executive a hefty salary, when they can hire 3 young turks or turkettes who are also super computer savvy for the same price? It happens in relationships too. In the dating world the biggest complaint I hear for both men and women is that he or she is “always looking for something better.” If there is conflict in the relationship, instead of working things out, all too many find it easier to break up or divorce and go on to someone else. Where is the loyalty? It’s the same lack of loyalty that happened to little Knute after he became big Knute and no longer earned the stream of revenue he once earned with all of his merchandising and hoards of visitors, who paid top dollar to see him. Now that he was no longer cute and a money making machine, he was not that important. He obviously felt it and it broke his heart and soul. Tragically he died. Maybe he didn’t die in vain. Maybe his death has opened up our eyes to treating one another with more respect. Maybe it opened up our eyes to not take others for granted and to appreciate them and let them know how much we appreciate and love them. Maybe it opened up our eyes to giving people a special touch and a hug or a kiss to show that we adore them. And maybe it opened our eyes to make us realize how much we need one another and how we can’t be isolated. We need to be with others. We need to communicate, touch, and laugh,and hug, and cuddle. Every living creature needs other living creatures to flourish and to live. Good Bye Dear Knute. RIP and God Bless Your Bear Soul.